Angela Austin, a Realtor with Windermere Cda Realty runs the LivePlayCDA community group. 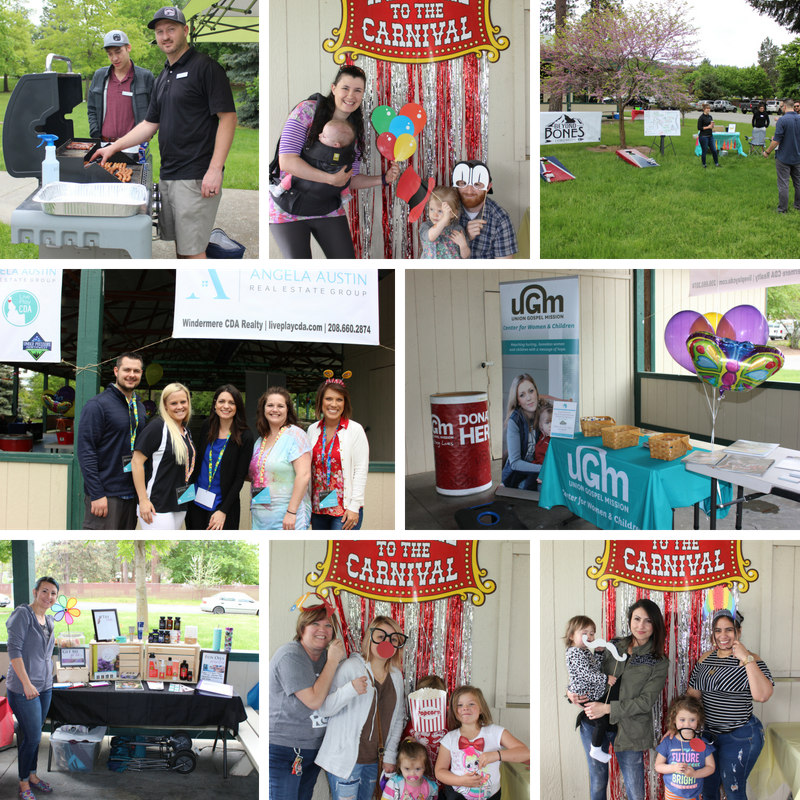 She and her team- Colleen Streeter, Heidi Score, Brandon Chisem and Tiffany Wyatt hosted a Free Family Carnival event last weekend as a way to give back to our community. During the Event, they did a food drive for the United Gospel Mission Center for Women and Children that raised 400 pounds of food. 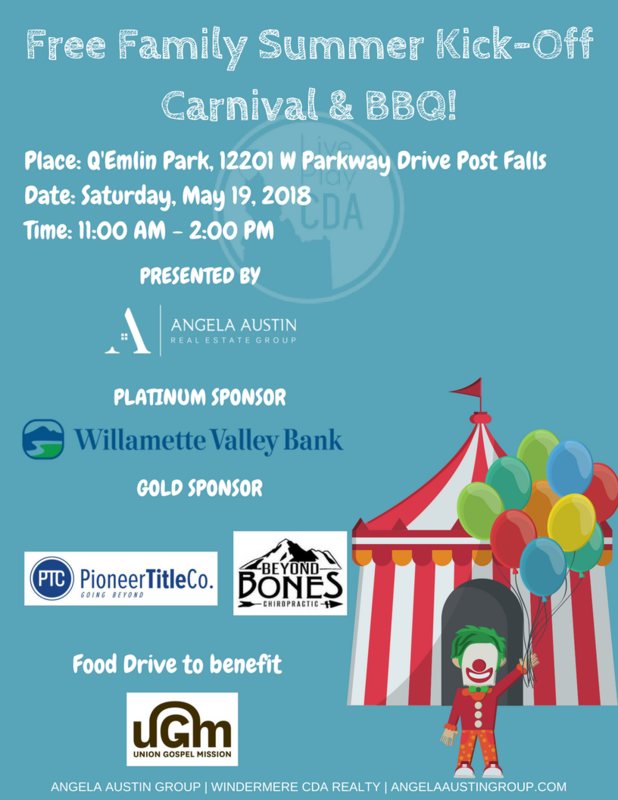 A huge Thank You to the amazing sponsors that partnered with Angela Austin Real Estate Group to make this event possible--|| Willamette Valley Bank || Pioneer Title Co - Coeur d'Alene || Beyond Bones Chiropractic || Miranda Hamilton - American Family Insurance Agent || Wyatt Electric and Construction, LLC. || Sarah Croy Doterra || Under Pressure Northwest, LLC. We want to thank our amazing volunteers and everyone who came out to the event and brought food, your generosity will help local families. Contact Angela at 208-660-2874 if you would like to attend or volunteer at our next event.